We are only Looking for foreign enquiries. Introducing gorgeous Flexi Birch Ply Boxes! This cylindrical Box is perfect for holding a few pens and pencils and perhaps a sharpner and eraser! Decorate and create a gift that will be well remembered! Shree Ganesh Multi Holder Kit is a unique table top must for all offices & home.Our products are demanded by various clients at competitive and leading prices. These are available in different sizes No.1, No.2, No.3 for your kids. Our clients can avail from us excellent collections of Back to School Case, which are available in several colors, designs and patterns. 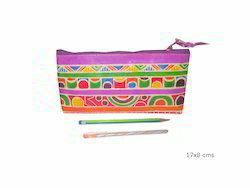 These attractive stationery sets are known for their quality and affordable price. The Relix angular pen/pencil stand benefits from a simple design coupled with ergonomics. While working on your table, it can sometimes be difficult to access the right writing instrument as they are stored upright in most pencil stands. This stand offers the user a better view of writing instruments and easier accessibility. Our Standard barrels are manufactured in sizes ranging from 5 mm diameter to 15mm diameter. With the lengths varying from 15mm to 235 mm. However to suit the diverse needs of various industries we make them in specified lengths. used as Pen & Pencil Holder. Can be used as Both Home and Office Decors. Available in Natural and desired colours. Coated with and withour water repellent coating. 100% Hand made and recyclled paper product. Made of haldu wood and hand carved.